Former Microsoft boss Steve Ballmer has quit the board less than half a year after leaving the chief executive post, ending his 34-year tenure at the technology group. 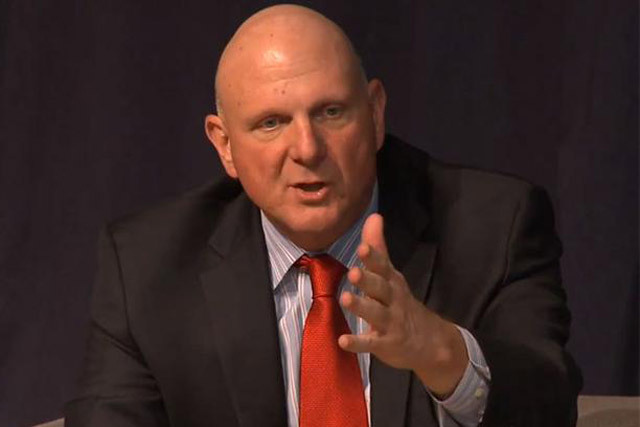 In a letter sent yesterday to his successor, CEO Satya Nadella, Ballmer explained that the last six months had seen him in reflective mode, while his current teaching responsibilities and those following his acquisition of NBA basketball team Los Angeles Clippers in May, meant his focus had shifted. He wrote: "I had not spent any time really contemplating my post-Microsoft life until my last day with the company. In the six months since leaving, I have become very busy. I see a combination of the Clippers, civic contribution, teaching and study taking a lot of time." Ballmer added that Microsoft will need to "be bold" to succeed in the current environment, describing it as a "mobile-first, cloud-first world". He said that while the firm's experience in "software development is a key skill", success "requires monetization though enterprise subscriptions, hardware gross margins and advertising revenues". Microsoft’s share of worldwide digital ad revenues was 2.45% in 2013, according to eMarketer, and is expected to grow to 2.54% this year, but the group’s share of US digital ad revenues fell to 5% in 2013, from 5.1% in 2012. In the US, Windows-enabled mobiles attained a 4.8% share of the market in 2012 and 2013, with that figure expected to drop to 4.6% this year, eMarketer said. Ballmer has not entirely relinquished involvement with Microsoft, pointing out that he holds more shares in the group "than anyone other than index funds" and that his shareholding would mean he would remain active in the business. He said: "I expect to continue holding that position for the foreseeable future. Given my confidence and the multitude of new commitments I am taking on now, I think it would be impractical for me to continue to serve on the board, and it is best for me to move off. "The fall will be hectic, between teaching a new class and the start of the NBA season, so my departure from the board is effective immediately." Microsoft also published Nadella’s response to Ballmer’s resignation, which credited the former chief executive with creating an "incredible foundation that we continue to build on" and stressing that "Microsoft will thrive in the mobile-first, cloud-first world". Nadella said: "While your insights and leadership will be greatly missed as part of the board, I understand and support your decision." Ballmer ended his letter with the words: "Count on me to keep ideas and inputs flowing. The company will move to higher heights. I will be proud, and I will benefit through my share ownership. I promise to support and encourage boldness by management in my role as a shareholder in any way I can."